Richard T. Crowe, life-long Chicago historian and founder of Chicago's first ghost tour company, passed away yesterday from pancreatic cancer. 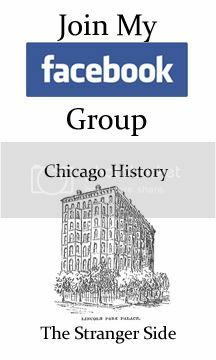 This information came as a result of a facebook posting by Joann Crowe and I first read about it in a posting by friend and ghost tour guide, Adam Selzer on Chicago's Unbelievable. At first I couldn't believe it since Richard had a scheduled Desplaines Valley Ghost Tour scheduled for this Sunday, July 10th. Sadly I did confirm the information with the Modell Funeral Home who will be handling arrangements. 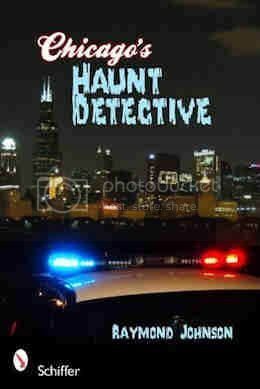 I have been a fan of Chicago ghostlore for as long as I can remember and if you grew up in or near Chicago then ghostlore was synonymous with Richard Crowe. Hearing him on the radio or seeing him on television talking about not only famous Chicago ghosts like Resurrection Mary or Clarence Darrow but also Chicago gangster lore solidified my addiction to the fabulous history of the Second City. Richard grew up on the South Side of Chicago going to Visitation grammar school, three years at Quigley South Preparatory Seminary and his senior year in high school at Gage Park H.S.. He earned both a B.A. and M.A. in English Literature from De Paul University. He was a teacher at Lourdes High School for a short time before landing a position as a city planner at City Hall in Chicago. Richard's first tour was on October 27, 1973 and was a sell-out. By mid -1979 he had left his position at City Hall and was doing Supernatural Tours full time and he never looked back. 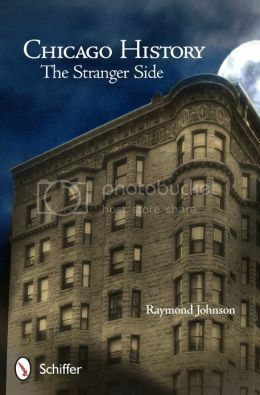 I treasure my copy of Richard's, "Chicago's Street Guide to the Supernatural" which he so kindly signed for me, "To Ray..Good Ghost Hunting! R.T.Crowe" We will miss you and hope to see you on the other side someday. Funeral services for Richard T. Crowe are as follows...wake will be from 3-9 p.m. on Monday, June 11, 2012, at Modell Funeral Home, 5725 S. Pulaski Rd., Chicago, IL 60629 (1-773-767-4730). Funeral will be Tuesday, June 12, 2012 at 9 a.m. from the funeral home to St. Patricia Church, 9050 S. 86th Avenue, Hickory Hills, IL 60457. Interment, of course, will be at Resurrection Cemetery. When was he at DePaul? I have the same degrees from De Paul. When was Mr. Crowe there. He might have been in class with me. Thanks, Ray. I'm sorry I never got to meet him. Sounds like someone I would have enjoyed comparing notes with.